Watch the full episode. See more Masterpiece. 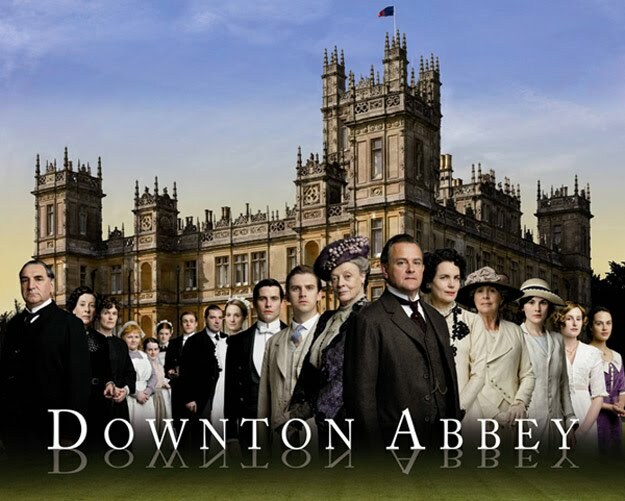 Downton Abbey kicks off Masterpiece Theatre’s 40th anniversary celebration with airings on four consecutive Sundays. The drama aired in seven parts on ITV, but apparently, PBS decided to combine them for American audiences! EPISODE ONE: Created by Oscar-winning writer Julian Fellowes (Gosford Park), “Downton Abbey” depicts the lives of the noble Crawley family and the staff who serve them, set at their Edwardian country house in 1912. Featuring an all-star cast, including Hugh Bonneville (MASTERPIECE CLASSIC “Miss Austen Regrets”), Dame Maggie Smith (Harry Potter) and Elizabeth McGovern. Laura Linney hosts. EPISODE TWO: Mary entertains three suitors, including a Turkish diplomat whose boldness leads to a surprising event. Downstairs, the shocking former life of Carson, the butler, is unmasked and Bates risks his health to remain valet. EPISODE THREE: Growing into his role as heir, Matthew brings out the bitter rivalry between sisters Mary and Edith. Servants Thomas and O’Brien scheme against Bates, while head housemaid Anna is increasingly attracted to him. Lady Violet’s winning streak in the flower show is threatened. EPISODE FOUR: The heir crisis at Downton Abbey takes an unexpected turn. Meanwhile, rumors fly about Mary’s virtue. Her sister Sybil takes a risk in her secret political life. Anna unearths Bates’ mysterious past and O’Brien and Thomas plot their exit strategy. Stay tuned for reviews of the episodes and a bit of historical background when the drama airs January 2011!